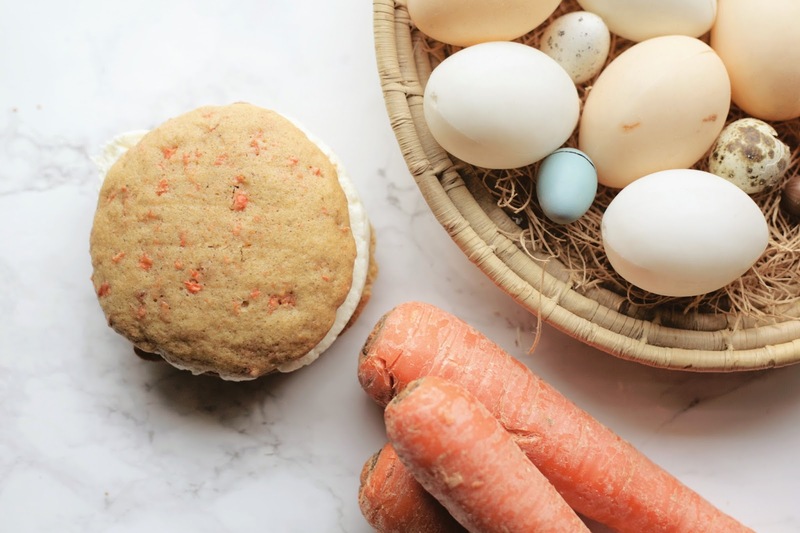 A few months ago my friends Kate and Jessi introduced me to Trader Joe's Inside Out Carrot Cake Cookies and I've been addicted since. I've been wanting to try a home made version ever since and this Betty Crocker recipe turned out to be super delicious! I've included the step-by-step instructions below or you can jump to the end of the post for the full recipe. 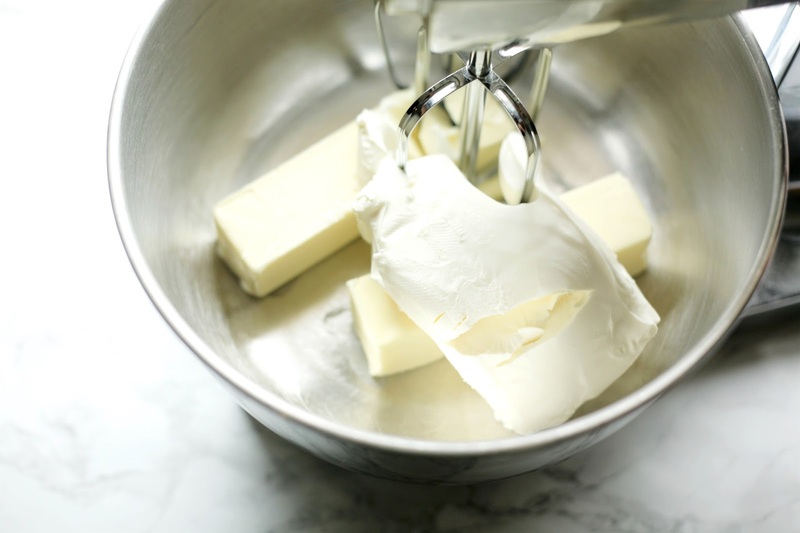 Set out 1/2 cup butter + 1 cup butter and an 8 ounce block of cream cheese to soften. I'm always unsure of whether a recipe wants me to use unsalted or salted butter but I read that unless a recipe specifically calls for salted butter, you should assume they're calling for unsalted butter! Fun fact! I also like to set my eggs out and let them come to room temperature as well (this recipe calls for two eggs). 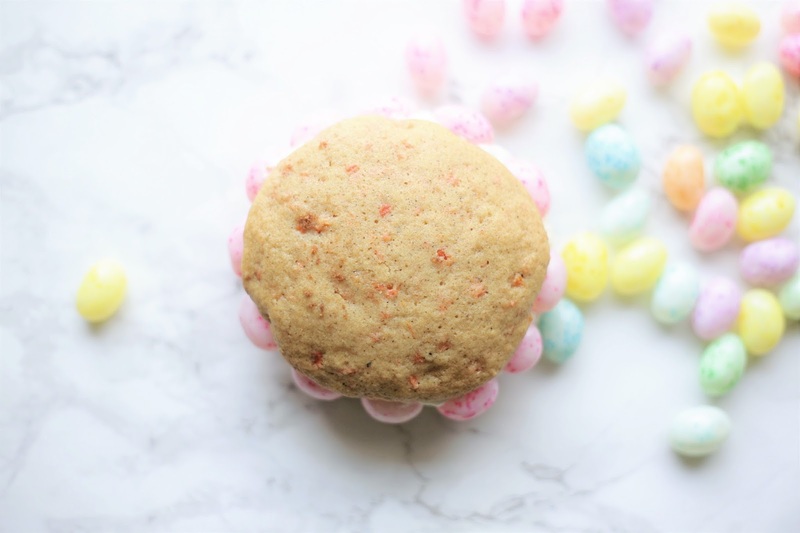 When eggs are at room temperature they disperse more evenly through batters and make cakes and cookies light and airy! 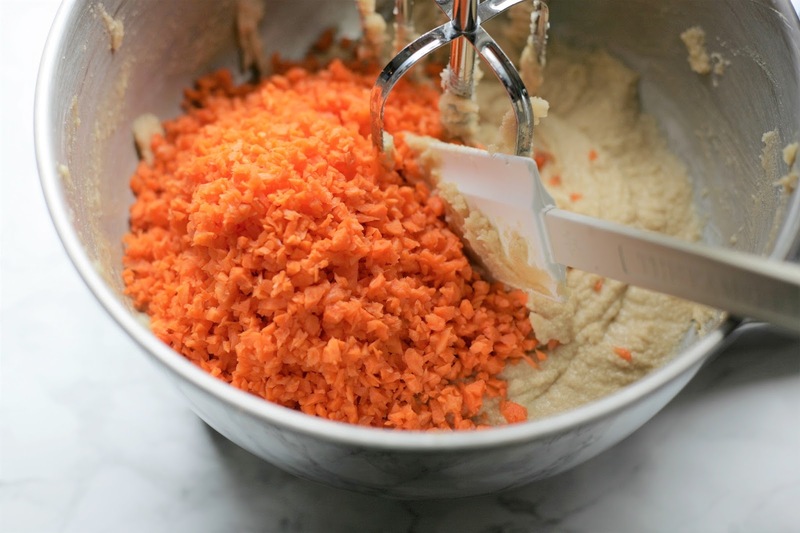 I also grated my carrots ahead of time in the food processor (you'll need 1 1/2 cups of grated carrots which was about 3 large-ish whole carrots). You'll want to beat these ingredients together for about 5 minutes until they're light and fluffy. 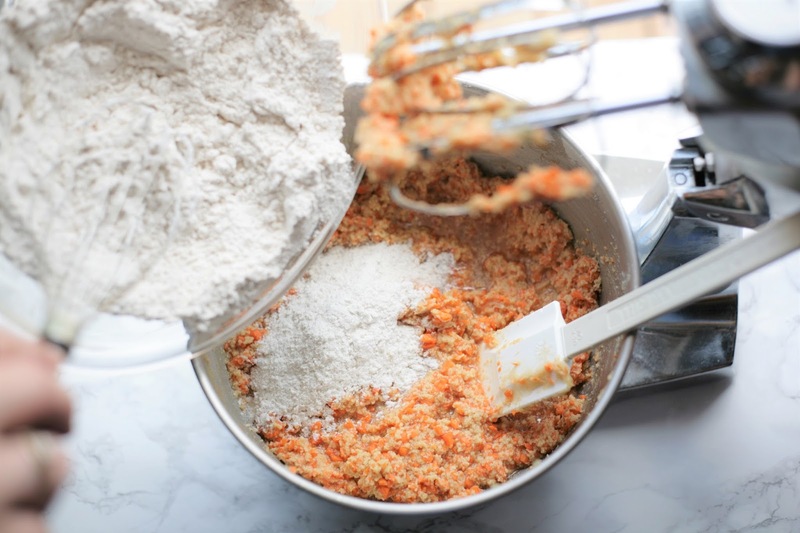 Add in 2 eggs one at a time and make sure to keep the mixing bowl scraped down! Once the eggs are combined, beat in 2 teaspoons of vanilla. 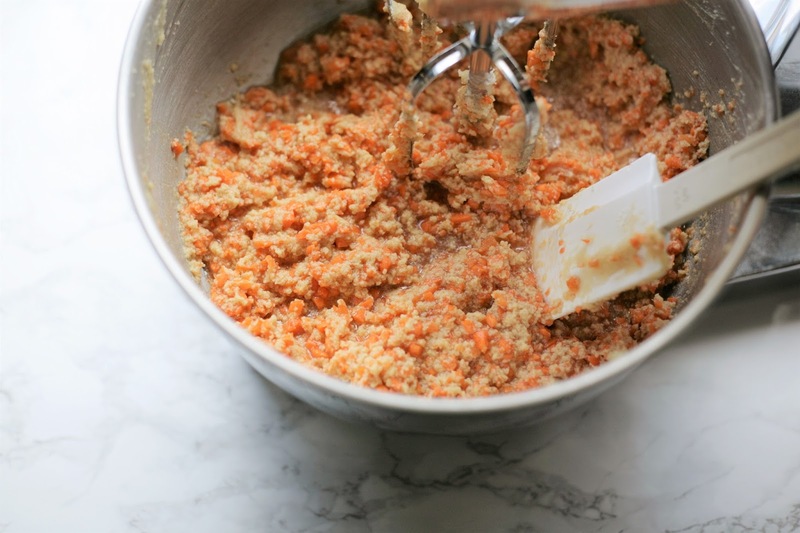 After the butter, sugars, eggs, and vanilla are combined, go ahead and toss in 1 1/2 cups grated carrots. If you'd like you can also add in 1/2 cup of sweetened flaked coconut and 1/2 cup chopped pecans. I left them out since a few of my family members are deeply opposed to both! Now it's time for the dry ingredients and wet ingredients to meet! 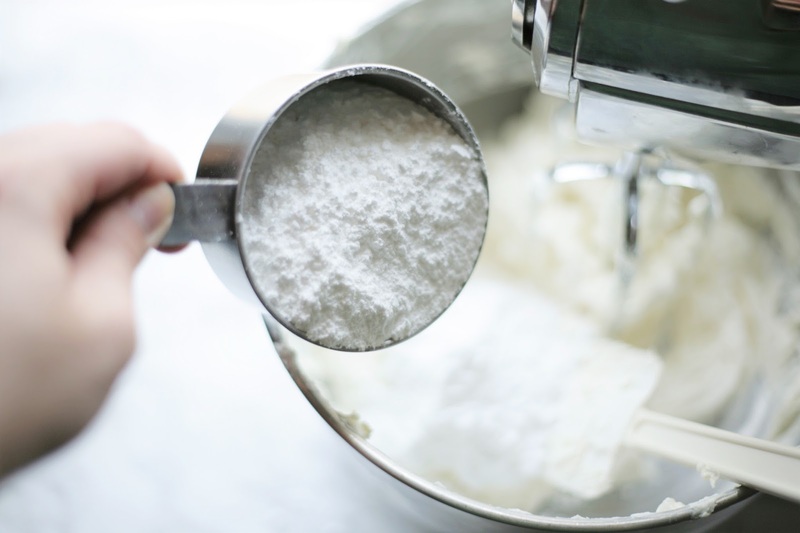 Add in the dry ingredients into the wet ingredients in the mixing bowl and combine at a low speed (you don't want dry ingredients to kick out of the mixer). Once the dry ingredients are incorporated it's time to bake! 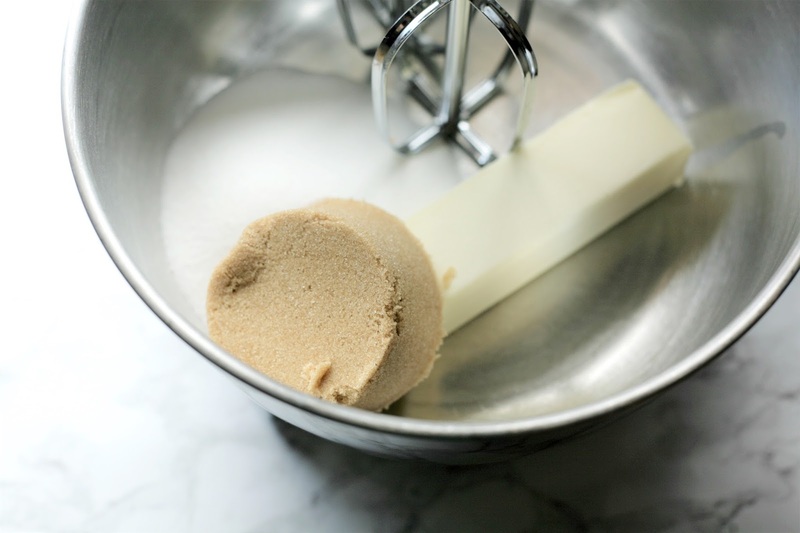 To measure out the cookies you can use a spoon or an ice cream scoop or a cookie scoop! Whatever works best for you. 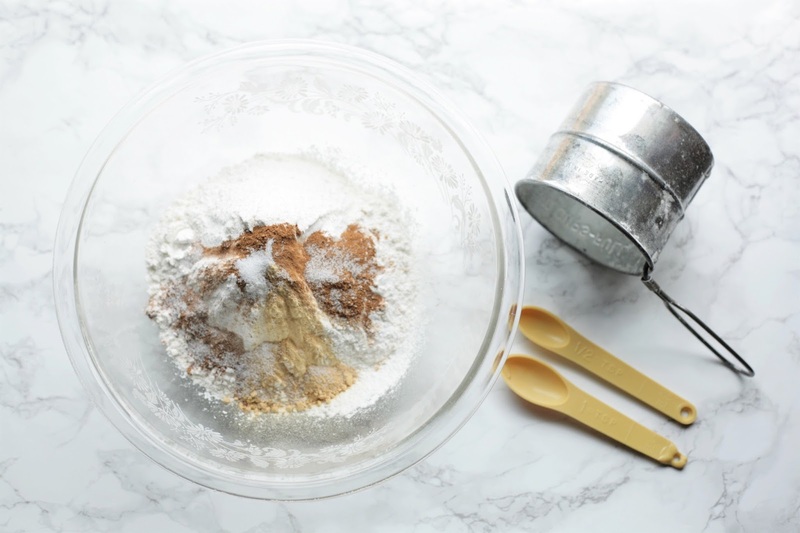 I love to use my cookie scoop that has the little scraper thing that helps scoop the dough/batter out but you can get the same thing done with two spoons (I'm sure you all are well versed in cookie scooping)! Drop those lovelies onto the parchment covered cookie sheets and make sure to keep at least 2 inches between them - the cookies will spread out! 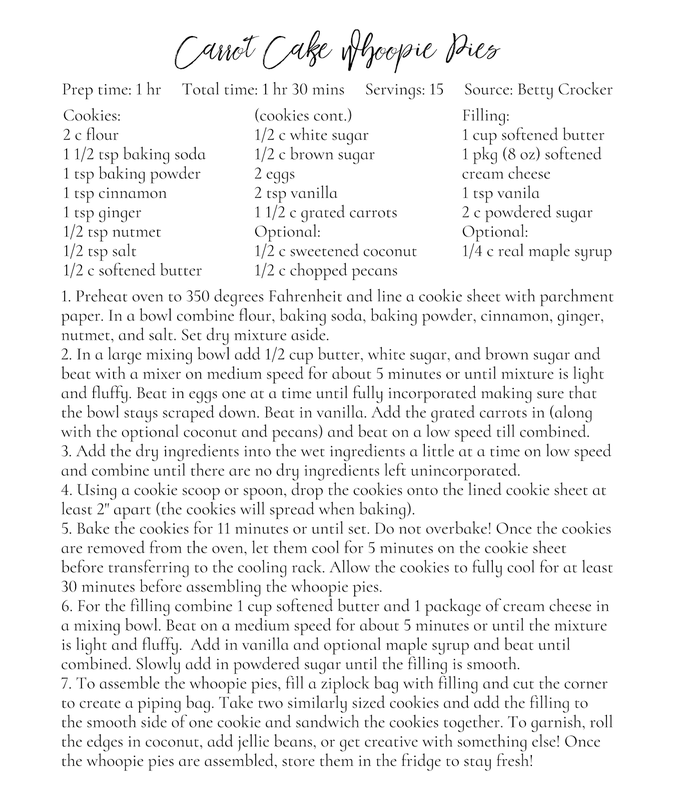 Bake the cookies for about 11 minutes or until they're set. You won't want to overbake them as they could get dry. I let the cookies cook on the baking sheet for about 5 minutes before moving them onto cooling racks. 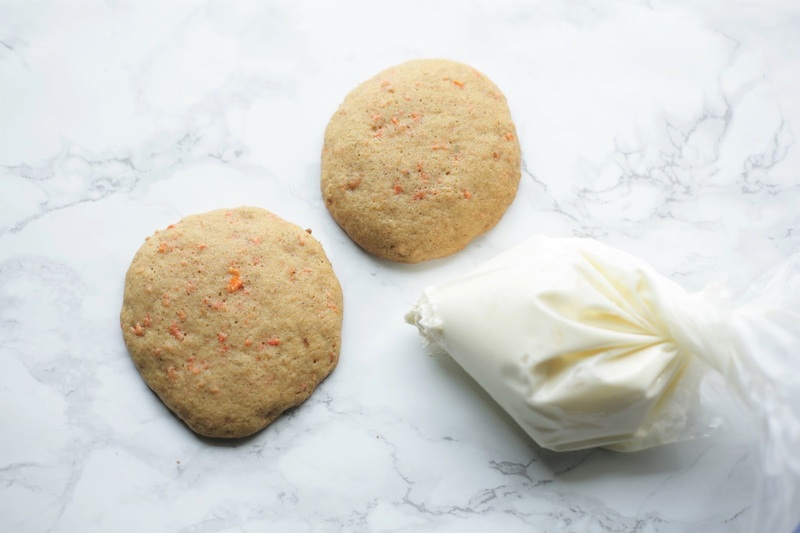 Before assembling the whoopie pies, you'll want to let the cookies cool completely which takes about 30 minutes or so! Now it's filling time. This stuff is DELICIOUS. Seriously. I could hardly resist eating it plain. 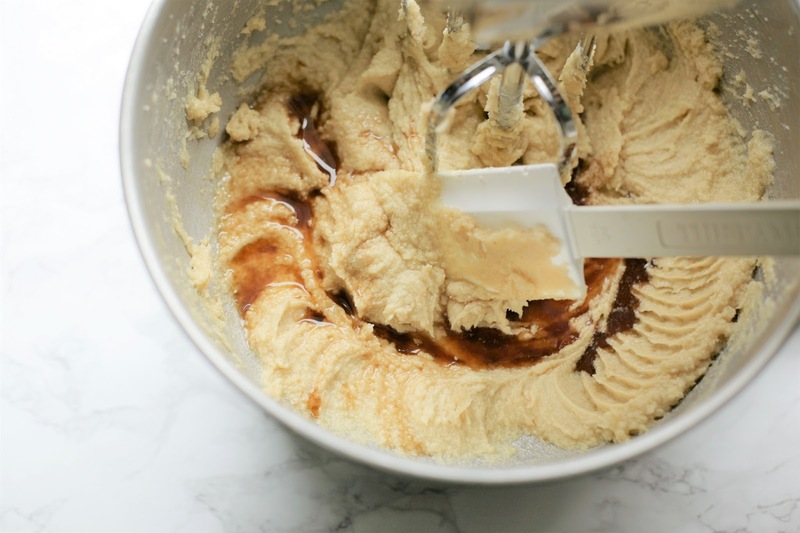 You'll want to beat the butter and cream cheese in your mixer at a medium speed for about 5 minutes. Once the mixture is nice and light and fluffy add in 1 teaspoon vanilla. The original recipe also called for maple syrup to be added into the filling mixture but I thought it'd make it a bit too sweet for my preference. 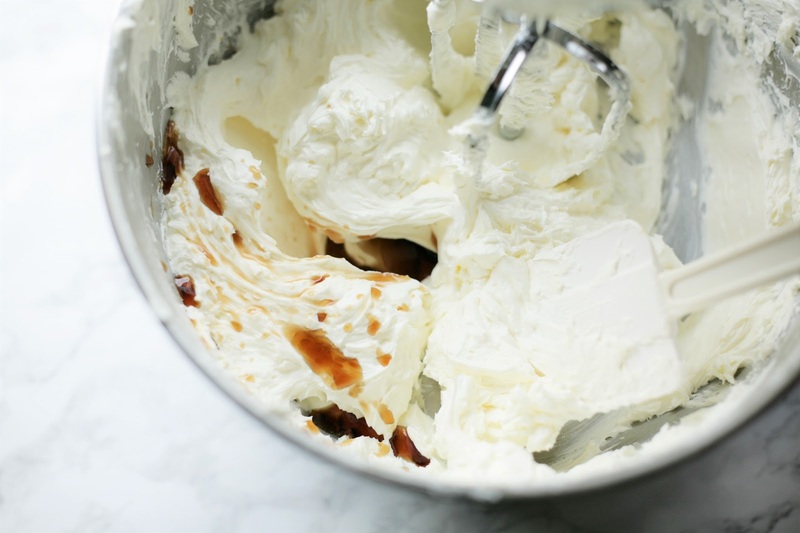 If you want the maple flavor, add in 1/4 cup real maple syrup at the same time as you add in the vanilla! Beat in your vanilla (and maple syrup if you added it) until it's well combined. Once all the wet ingredients are incorporated, add 2 cups of powdered sugar slowly. Just like earlier, you won't want to add in all the powdered sugar in at once because it might blow out of the bowl (and into your face)! Beat the powdered sugar into the mixture until everything is nice and smooth. Now onto assembling the whoopie pies! I used a quart sized ziplock bag to load up my filling and cut the corner off for a makeshift piping bag. 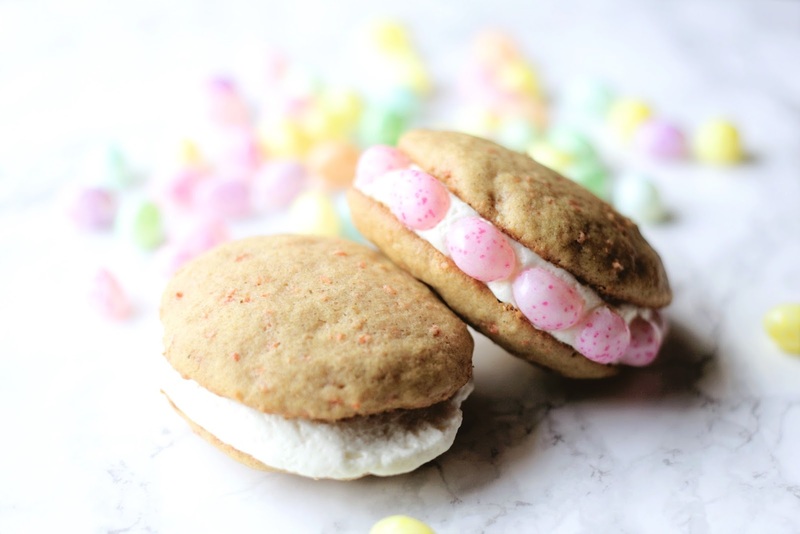 All you need to do to assemble these little sweeties is take two similarly shaped cookies, pipe on the filling onto the flat size of one of the cookies, and sandwich them together! It's so simple! Since it was Easter, I decided to add some festive garnish in the form of coconut (dyed green with food coloring) and speckled jelly beans that looked like cute little Easter eggs! For the coconut garnished cookies simply put some coconut in a shallow bowl or plate and roll the edges of the sandwiches in it! Like I mentioned, I dyed my coconut for that Easter-basket-grass look by taking some coconut, putting it in a jar with a drop of green food coloring, and shaking it up! 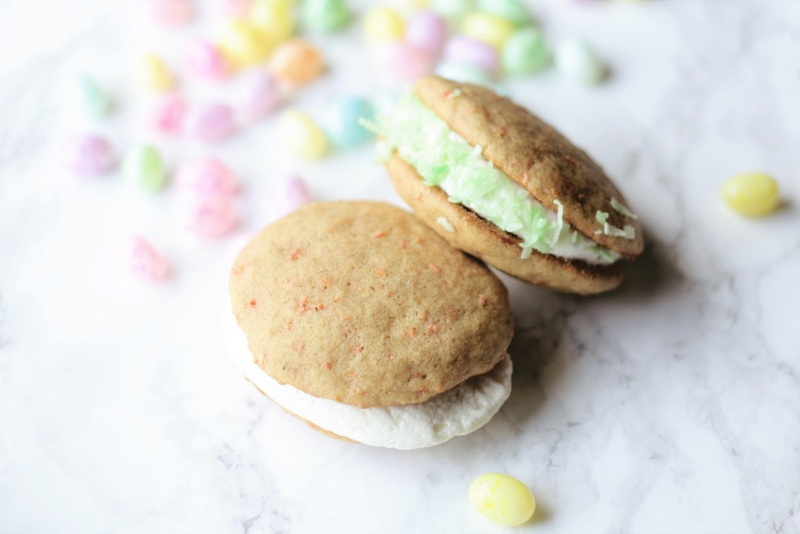 For the jellybean garnished whoopie pies, I just took some little speckled jelly beans and pressed them into the filling around the edges of the sandwiches. They turned out so adorable! 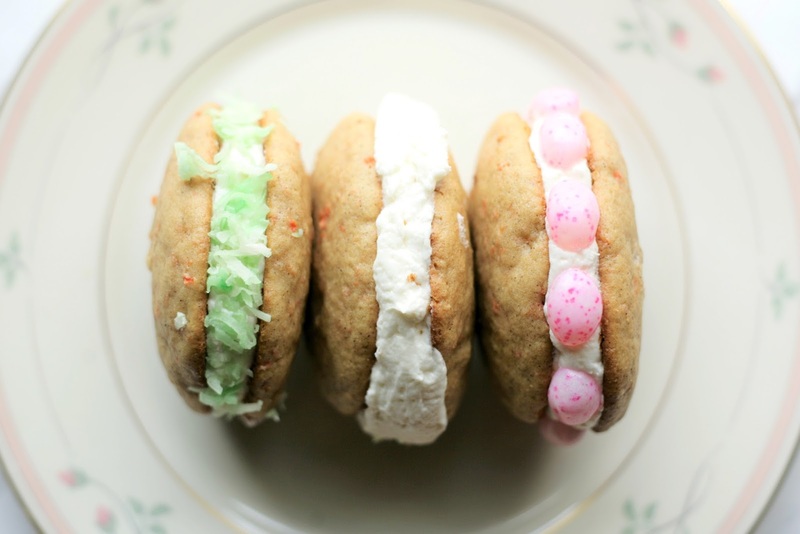 You can really go wild with garnishes on these yummy little dessert sandwiches which is half the fun! I kept some of the whoopie pies plain since they're just as adorable (and delish) on their own! 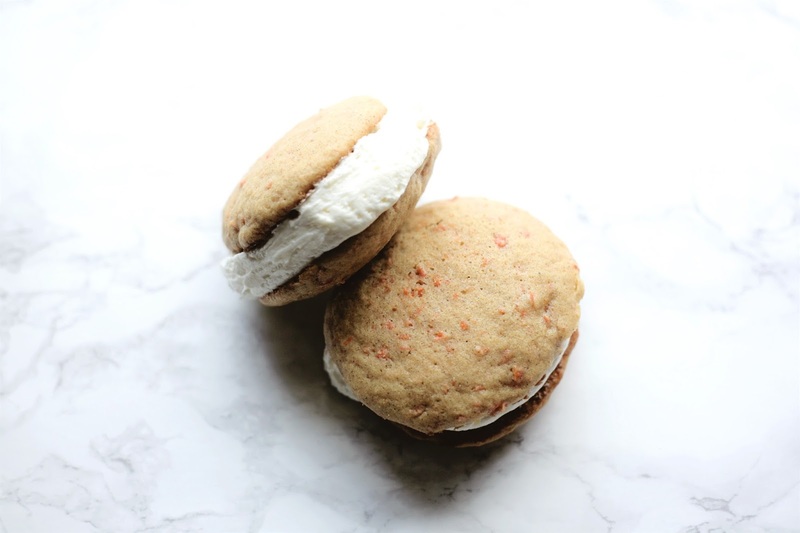 One other quick note, I did notice that after leaving the whoopie pies out for a little while, the filling did start to get soft so if you make these ahead of time, you'll want to store them in the fridge so that everything stays together! That's it! Did you make any fun new recipes this Easter? 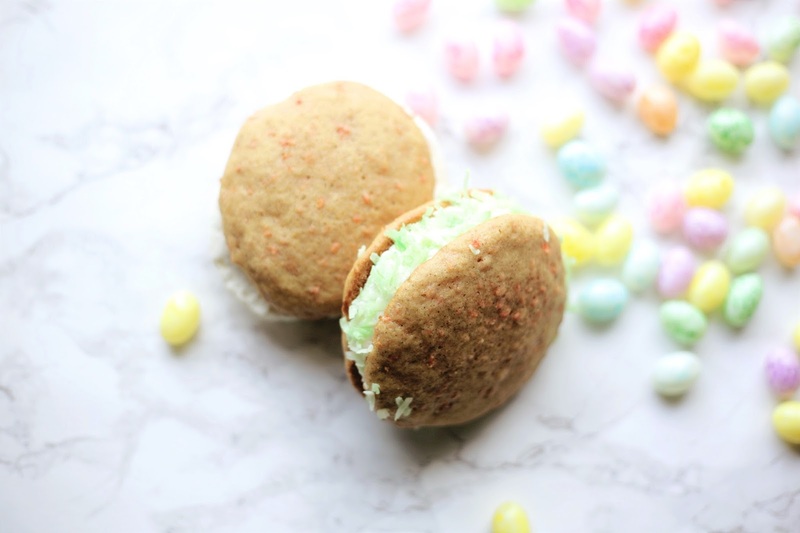 What are your favorite springtime desserts? Let me know in the comments and on Instagram @annie_austen! YUM! These look amazing!! I will need to try these! I never knew why recipes called for room temp eggs...now I know why and will start doing that and I'm excited to see the difference! I also love how the cream cheese frosting can be used for other whoopie pies like a red velvet!